Have you ever been standing somewhere with no one around, and you catch a hint of marijuana smell in the breeze? 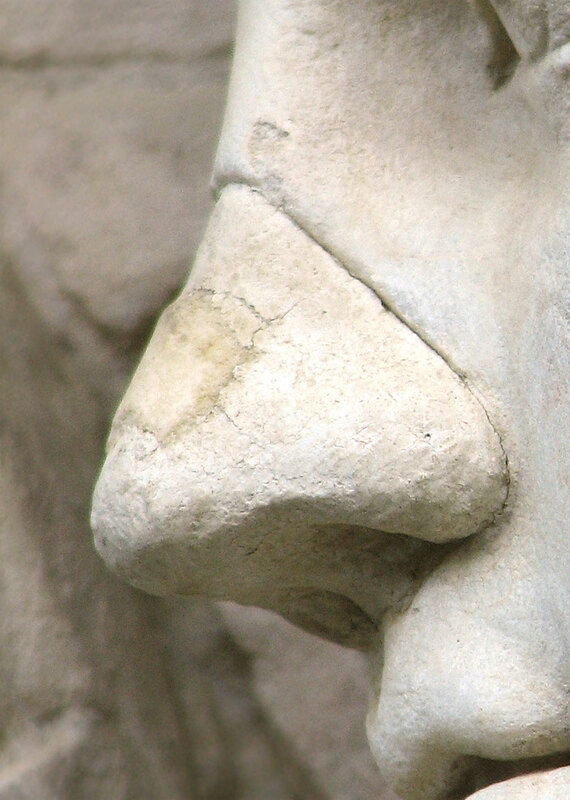 Even if you couldn’t spot the source, you wouldn’t doubt what your nose told you. One of the most appealing parts of cannabis is its pungent, unique smell. Unfortunately, that same delightful smell is instantly recognizable and can cause lots of trouble. A grow room with flowering marijuana plants is a factory for that delicious tell-tale smell, and to protect your girls, you’ll have to make that smell a non-issue. Today we’ll quickly get you up to speed the options available to neutralize smells made by your plants, and we’ll explain which methods are most effective. There really aren’t a lot of options when it comes to stopping smells in the grow room. Either you find a way to “scrub” the smells out of the air, or you find a way to cover up the smell. For a small grow with just 1 or 2 plants, you can usually get away with covering up the smell. For a larger grow, you will likely need to scrub the air to make sure you’re not leaking any smells that might catch the attention of nosy neighbors. Ozone Generators – DON’T USE! The “gold standard” for controlling marijuana grow room odors, carbon filters (also called ‘carbon scrubbers’) will actually pull the smells out of the air, neutralizing any odors that pass through. 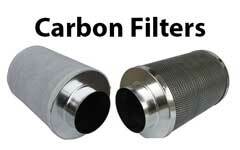 Carbon filters are what you need if it’s important to neutralize the air coming out of your exhaust. A good carbon filter will make sure you never accidentally leak the smell of cannabis out through a window into your neighborhood. These devices use activated carbon to chemically absorb smells and other impurities from any air that is pushed through the filter. With a carbon scrubber, you need to set up a situation where the smelly marijuana air is being forced through the filter. In other words, you need to use a fan to push or pull air through the carbon filter. 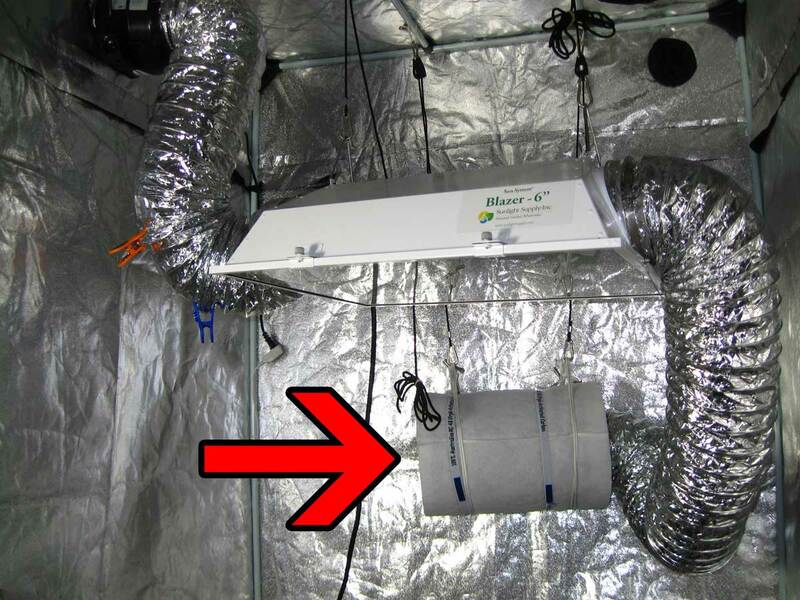 The most common way to do this is to set up a carbon filter as a part of your exhaust system, which will have an exhaust fan pulling hot air away from your grow area. As hot air is pulled out and away from your plants, the carbon filter scrubs odors from the air on the way out. You don’t even have to attach the fan to anything, you can just let the scrubbed air go back into the room. It’s pretty amazing how fast this can clear up the whole room! I learned this from a dispensary owner. This is an example of the general type of fan, and this is an example of a carbon filter. 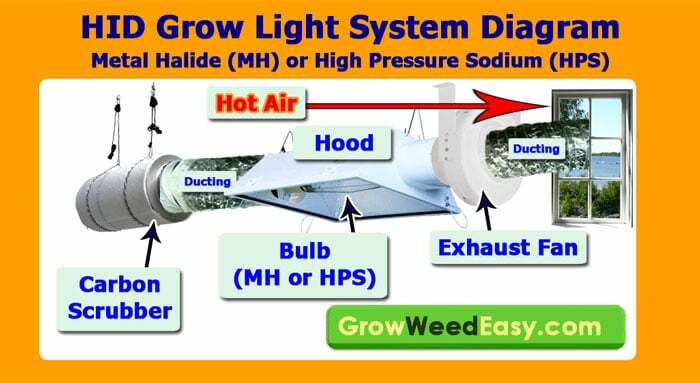 Many standard air-cooled marijuana grow lights are fitted with a 6″ exhaust hole (listed as 6″ air-cooled hoods). For most small-scale growers using a tent, you will want to get everything in 6″: including fan, carbon filter, and ducting. Why 6 inches? 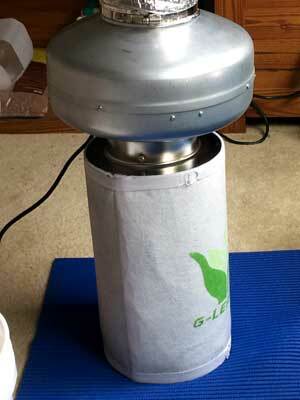 6″ fans are strong enough to exhaust the air from nearly any small-scale grow. 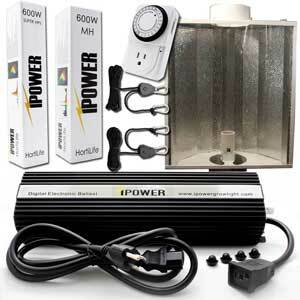 Unlike 4″ fans which are often too weak for 4″ carbon filters & will not fit standard air-cooled grow lights. 8″ and bigger filters are generally for more commercial applications; they require extremely powerful (and expensive $$$) fans suitable to moving huge amounts of air from a large enclosed area, plus they can’t be hooked up directly to standard grow lights. Make sure the “CFM” rating of the carbon filter is the same or slightly higher than the one listed on your fan. This ensures maximum efficiency but also has an added security benefit: it makes sure your carbon filter is only taking in as much air as it can effectively scrub for odors. For example, if the carbon filter says “300 CFM”, your fan should be rated as 300 CFM or just a little lower. A 600 CFM fan would pull more air than the 300 CFM filter could deodorize. Refer to the diagram below to see how a carbon filter should be set up in your exhaust system. The carbon scrubber being placed at the back of the exhaust system minimizes the risk of flowering cannabis smell escaping. Note: It is recommended you do not place these products in your grow room or tent with flowering cannabis plants. Strong odor neutralizers work so well they can actually reduce or alter the flavor of buds over time. However, these are incredibly effective at neutralizing odors outside the grow area. Unlike a carbon filter, odor neutralizers don’t “scrub” the smells from the air. These products are designed to bind with unpleasant smells so that the smell is “neutralized”. Often they also have a very strong fragrance to help cover up smells. I’ve heard of growers using everything from incense to “bathroom sprays” to cologne to try to cover up the smell of a flowering marijuana plant. Most household products like wall plug-ins and sprays just aren’t strong enough to cover up the smell of a marijuana grow room for long, if at all. Also, using these products on your cannabis plants can reduce or alter their natural smell. Any odor neutralizer or fragrance needs to be constant since your plants don’t stop making their unique flowering scent once they start. Once the smell arrives in your grow room, it basically keeps getting stronger until harvest. However, there are a few heavy-duty products available that are effective for small-scale marijuana grow rooms. Sprays, Glade Plugins, etc – Generally these are only effective for a few hours at most. Only recommended in an emergency! Best spray to cover up smells in an emergency: Ozium Air Sanitizer – this smells very “citrus clean” that seems to do pretty well at covering up cannabis odor without smelling like you just sprayed a bunch of Febreeze. The only thing to keep in mind is a little bit goes a long way. A quick spritz is all you need! Warning: Never spray any odor neutralizer near your plants in the flowering stage or the smell can stick to the buds! Ona Gel and Ona Blocks were originally developed to control the smell inside sewage facilities. They are now available to consumers because they are remarkably effective at neutralizing odors. Ona products are quick and easy to use. They are effective at covering up smells in a small grow room, though they will only work for a relatively short window of time and must be replaced every few weeks up to a few months. Ona Gel in the original scent seems to be the most effective for covering up marijuana smells in our tests. With a few flowering plants in a grow tent or closet, you will be able to cover up almost all smells with one or two of these placed outside the grow room. Never place Ona products in with your flowering plants! If you use Ona products in your living room, den, or other open areas, no one who enters those rooms will be able to smell any sign of your cannabis plants, even if the plants are just a room away. But Ona products can reduce or alter the smell of your cannabis buds if they share the same air, so you should never place Ona products in the same area as your flowering plants. If you need to neutralize the smell coming out of your exhaust, a carbon filter (#1 on this list) is highly recommended. You could also have your exhaust air blow over an Ona product right before being vented outside. 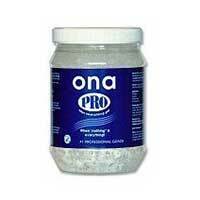 It is not recommended to use Ona products in your grow area alongside your plants. Ona products are meant to be used outside the grow area. How long do they last? It depends on the size Ona Product you buy, as well as the temperature/humidity of your grow area. Generally, they seem to last at least 4-6 weeks for most growers, which is long enough for a few of these to provide coverage throughout the smelly second half of the flowering stage. We all love the idea of having pure air to breathe. Many air purifiers come with the claim of reducing smells, usually by means of a filter. Do these work to get rid of smells in a marijuana grow room? 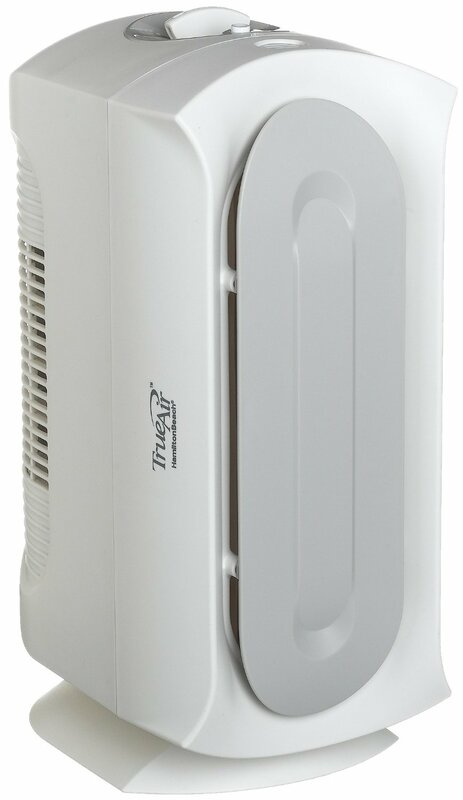 It is true that some air purifiers do help remove some smells from the air. However, these are not strong enough to pull all the smells from a grow room. These are only marginally effective. Therefore, while air purifiers may be a good choice for other reasons, I do not recommend getting one just to try to get rid of smells in your grow room. 4. Ozone Generator – DO NOT GET ONE! 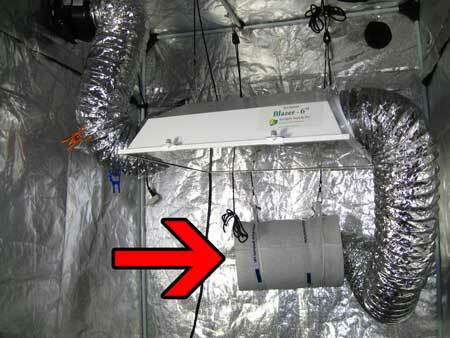 Ozone generators are sometimes added to grow rooms to neutralize smells. 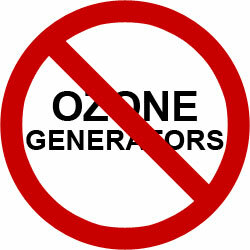 Ozone generators claim to remove odors, clean the air, and kill mold and mildew. Although some growers claim that ozone generators are the best means of eliminating odor, at GrowWeedEasy.com, we strongly recommend against having one in your grow room. Well, ignoring the fact that Ozone is not as effective as a carbon filter at reducing odors, one problem is that they’re bad for the environment. So much, in fact, that they’re illegal in the state of CA where I live (see: http://www.arb.ca.gov/research/indoor/o3g-list.htm). More importantly, ozone generators are actually bad for YOU! Here are just a few of the many links to research from reputable institutions all saying the same thing: Ozone generators are bad for humans! Some growers claim to have safer ways to use ozone in their grows, such as venting ozone out of the house or making sure ozone only goes into the exhaust. Again, we would strongly recommend against using ozone since in the best case, it’s only doing what a carbon scrubber can do. In the worst case, it’s hurting the lungs of you, your pets and your family! Make Sure Only YOU Get To Enjoy Your Plant’s Smell! Start growing a Low Odor Marijuana Strain today! even as they approach harvest!